Walid Siti is an Iraqi Kurd who was forced to leave his country and seek refuge in the UK. 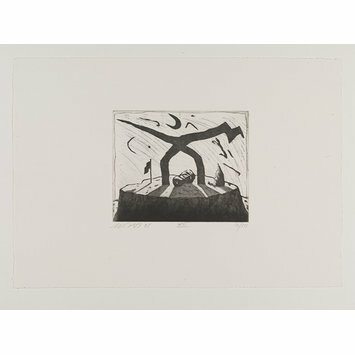 In this series of etchings he examines his personal response to the horrors of the Iran/Iraq war in 1986-1990, using poingmant visual metaphors and haunting symbols evoking the power and futility of this war. 'This series originated in a cycle of drawings which I produced during the years from 1986 to 1990, the peak of the protracted Iran-Iraq war that culminated in the attack with chemical weapons on the Kurdish town of Halabja. This set is an important commentary on a war which affected the lives of many, espcially those politcal refugees from this region who now live in the U.K. These etchings were hand-printed by the artist from copper plates on Somerset white soft paper. 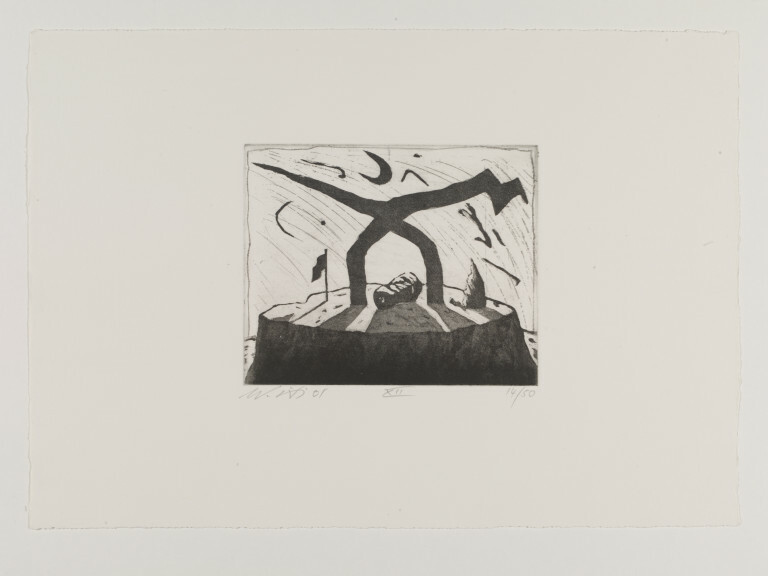 Plate XII from a boxed set of 13 black and white etchings on the subject of the Iran-Iraq war 1986-1990. Ziggurats, flags, crescent moons and monumental heads are reoccurring symbols.